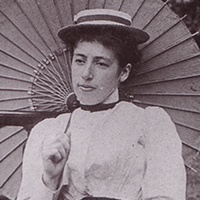 Frances Hodgkins was born in Dunedin in 1869. She travelled and painted throughout New Zealand and Europe. During the second World War, critics in London were describing her as a ‘master colourist’ and one of the most remarkable women painters of the time. Frances pursued a long and venturesome painting career, much admired by her peers.